For some employees, the Q4 annual performance review is nicely timed - right by Halloween, a perfect time to be terrified. Don't let this over-dramatized event scare your employees. 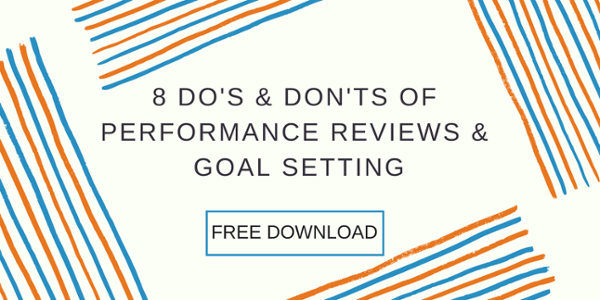 Here are some Do's and Don'ts for achieving peak review status. The first rule of great annual reviews is that an annual review isn't enough. For a company to collect and retain engaged employees, your leaders need to have a robust relationship with their team, top to bottom. 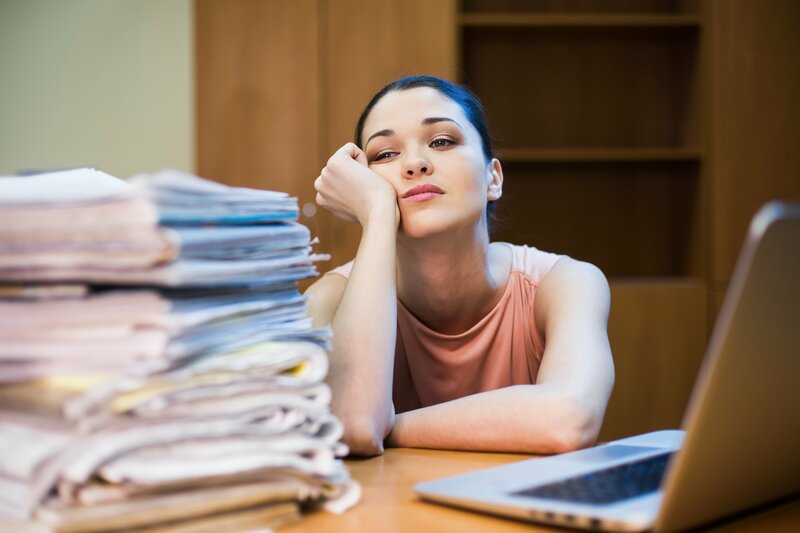 A Gallup study showed that 67 percent of employees have had an annual review in the past 12 months, and yet only 30 percent say their manager involves them in setting their goals at work. When goal-setting is a consistent occurrence, employees are more than three times likely to be engaged. Managers should check in at least weekly with a coaching mentality, rather than an oversight approach. For Millennials and Gen Z-ers, make it more often. This sector of your workforce is more interested in accelerating their career and developing their skills - don't let that enthusiasm go untapped. We're going to tell you a secret...your employees have thoughts on how their job could work better. For example, a Gallup poll indicates 42 percent of Millennials would leave their job for one that offered paid time to work on an independent project of their choosing. Might be time to ask! A competitive job market demands leaders who invest personally in employees' roles and internal drives, and one simple way to do that is to ask your employee what they think they should be doing. Successful managers have ongoing casual conversations, so they know what's been going on beyond task completion. At review time, they can focus less on retroactive performance analysis, and more on offering coaching and advice for how to achieve excellence in the future. 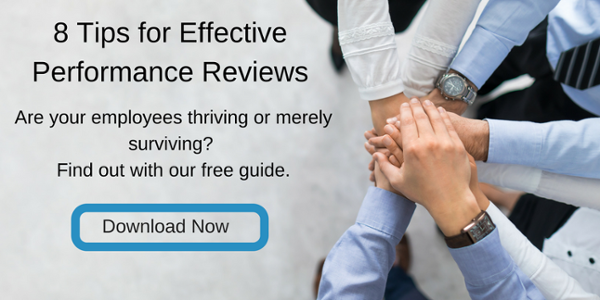 Formal reviews can be stressful for both parties, and if the agenda uses an evaluation approach, the natural human reaction is to be defensive and shut down. Obviously, that's not the kind of power dynamic you want in a healthy work relationship. One in two employees has left a job to get away from their manager. That Gallup study statistic is shocking, but also demonstrative of the power of good (or bad) leadership. A formal progress review shouldn't focus solely on the employee; it's also time to inquire how your managers can better help employees reach their goals and feel fulfilled on the job. Career development, goal-setting and even remote or flextime work options should all be on the table, and the session should end with managers and employees feeling mutually encouraged about their open, transparent relationship and the path forward. The traditional annual performance review had a lack packed into it, including the one time of year an employee talks about increasing his or her pay. No pressure - it just affects every facet of their lives and is the main reason they show up every day. According to a Harvard Business Review piece, discussing performance and compensation should happen in separate spheres and throughout the year. V.G. Narayanan, a professor at Harvard Business School, recommends creating two formal meetings for the subject, spaced several weeks apart, but encourages having smaller, casual conversations throughout the year. Value isn't shown just by compensation. The best managers make a purposeful effort to connect with employees by getting to know them and make it clear they can talk about any topic, work-related or not. This type of personal investment is important throughout the employee journey, but progress reviews are a perfect time to say what you mean. I appreciate your work. You're important to our team. I believe in you. Thank you. As with all relationships, the manager-employee dynamic is at its best when clear communication is a cornerstone. The BirdDogHR Performance Management Software is a simple and all-encompassing way to track and discuss employee performances. Want to know more? See a free demo here.